Whilst talking to a customer recently, I was asked to clarify what I meant by SEO as website design company I was competing against claimed it to be dead! Search Engine Optimisation in the sense of the industry that sprung up claiming to be able to get you to page 1, position 1 for either small or large amounts of money per month, yes, thankfully, is dead – or at least dying. There are still a few around though! Whether you’re aware of it or not, SEO is constantly evolving. Google works hard to ensure the search results it provides is accurate. Over recent years, this ‘SEO industry’ employed all sorts of tricks that would include “invisible words” on page (keywords written in white so that humans can see it but Google spiders and other search spiders would!) and lots of ‘spam’ type tactics that quite frankly is frightening! Various 'clever people' got rich from other similar ‘ideas’ over the years. Almost as soon as someone claims to have found the secret to getting you to the top of Google, Google has done an update to remove the effect which essentially then punished those who employed such tricks. These are now perhaps more commonly known as ‘black hat practices’. Companies employing ‘white hat practices’ are trying to use ideas and practices that are good, and potentially rewarded by Google with good positioning results. Google has continued in their drive, and you may well of heard of panda and penguin updates thrown around by people trying to claim to understand what they’re talking about. These are simply Google’s names for their software, often employing every day animals or indeed sweets in their android and desktop solutions. So is SEO dead? With another update to Panda recently from Google, if you listen to some of the scaremongering gossip that is going around some “web developers” you may be forgiven for thinking that it is. Please don’t be misguided though. Google has always rewarded good content. This has not changed. Relevant content, coded correctly with a good user experience has always been the best way and Google continues to reward those who do it right. Good content is key but it isn't the only part of SEO - there are other steps to include. A good web design, that is mobile responsive, well researched to your industry and products and then well coded will provide you with a solid basis on which to build a good strategy. It takes time and a good strategy, born from all the right structure and website will help you achieve good positioning in search results. What should your strategy be? That's another question! Ad-words can help for campaigns, it will be meaningless without the right structure or strategy behind it. So no, SEO isn’t dead!. If you want to ignite your potential, get in touch. 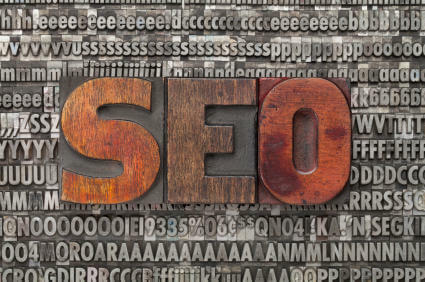 1 Comments - Is SEO (Search Engine Optimisation) dead? Quisque sollicitudin ante vel nulla bibendum varius. Praesent lobortis felis erat, id sagittis quam mollis ac. Aliquam erat volutpat. Integer at tellus bibendum, consequat turpis ultricies, facilisis lectus. Mauris iaculis quam dolor, id commodo lacus viverra eget. Nulla porttitor est placerat lacinia placerat. Class aptent taciti sociosqu ad litora torquent per conubia nostra, per inceptos himenaeos.